Gemma is a Lecturer and Community and Public Health Nutrition domain leader in the Master of Nutrition and Dietetics in the School of Medical and Health Sciences. Gemma is an Accredited Practising Dietitian with 11 years of experience working in Nutrition and Dietetics. During her 8 years as a consultant dietitian in private practice, Gemma has implemented individual and group-based nutrition education with community members in a range of nutrition-related areas. Gemma also has experience as a sports dietitian. In her role at ECU, Gemma is passionate about creating authentic learning environments where students can apply learning in a meaningful way. She is currently undertaking her PhD to investigate how to enable change in health professions higher education. Bachelor of Science Nutrition, Curtin University of Technology. Postgraduate Diploma in Dietetics, Curtin University of Technology. 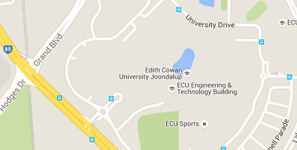 Bachelor of Health Science with Upper Second Class Honours, Edith Cowan University, 2014. Weber, K., Carter, B., Jenkins, G., Jamieson, J., (2018), A dietetic clinical educator enhances the experience and assessment of clinical placement. Nutrition and Dietetics, epub ahead of print(Nov 2018), 7p., DOI: 10.1111/1747-0080.12497. Jamieson, J., Jenkins, G., Beatty, S., Palermo, C., (2017), Designing programmes of assessment: A participatory approach. Medical Teacher, 39(11), 1182-1188, United Kingdom, Taylor & Francis Group, DOI: 10.1080/0142159X.2017.1355447.